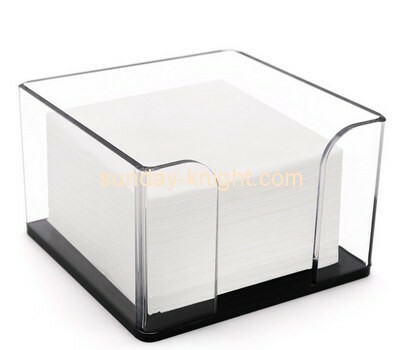 How to make acrylic boxes? 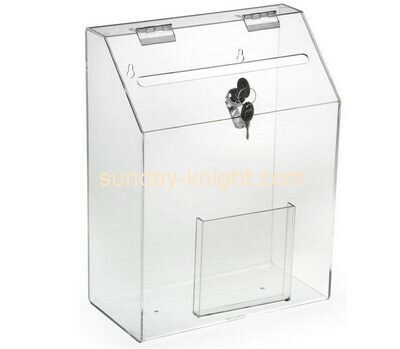 There are many types of acrylic boxes, such as: acrylic boxes, acrylic ballot boxes, acrylic case, etc. It is very popular with people. Many friends want to know how it is made. 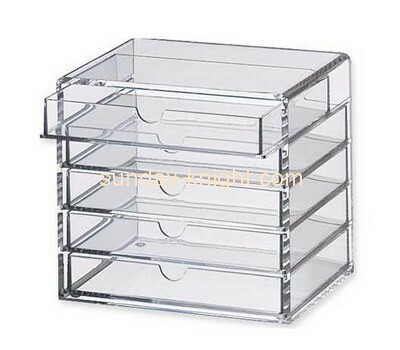 In fact, there are many ways to make acrylic boxes. Give everyone a specific introduction. 1, mosaic method. This method is to cut the plexiglass of different colors, cut them into the required geometry, and then make the mosaic on the bottom plate. The mosaic method can obtain the color difference, but the integrated acrylic box has a very good effect. 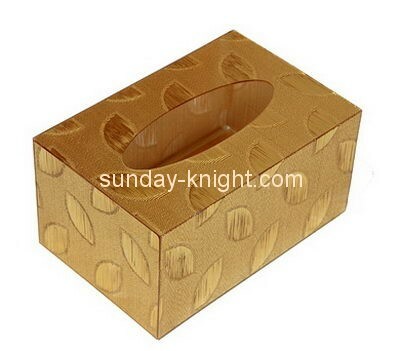 It has sharp edges and corners, is tightly stitched, and has strong market competitiveness. 2, the paste method. 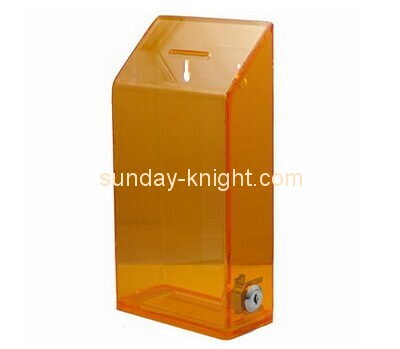 It is obtained by first cutting the plexiglass into a certain shape and then bonding it on a flat surface, which can also obtain very good effects. 3. Hot pressing method. In this method, a thin plate of plexiglass is first heated and then hot pressed in a mold. This kind of production process has a strong three-dimensional sense, and the lines are smooth, with a very full body shape, and also has the effect of relief, which is deeply loved by people. The hot stamping die can be shaped by using sludge or wood, and then made by using gypsum and cast lead materials to make Yinyang mold. 4, enthusiasm method. The enthalpy method is one of the more special methods. It is now cutting the plexiglass into a certain shape, heating the plexiglass, and then kneading it by hand, because it needs to be done for the industry. Have a well-thought-out, and then confidently make it, in one go. The resulting effects are simpler and smoother, and have more unrestrained lines. 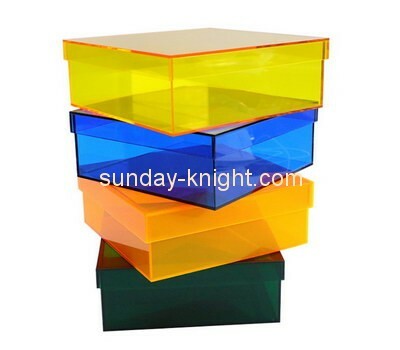 There are many ways to make acrylic boxes. In addition to the above points, there are vertical grinding methods. It is directly polished and ground on the grinding wheel. The effect is similar to that of the sculpture. It has a rich shape and people like it very much. 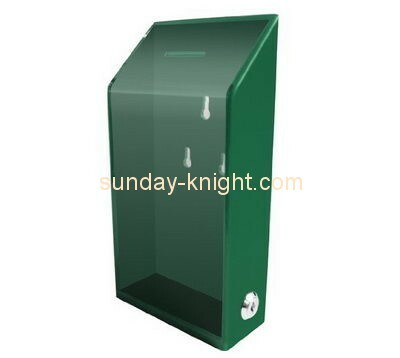 In addition, if you want to customize your acrylic, you can consult us! ! ! Previous：What factors should be considered for acrylic customization? Next：How to avoid deformation during acrylic processing?